Despite the fact that Rwanda is a land locked country, well the country has a beach. 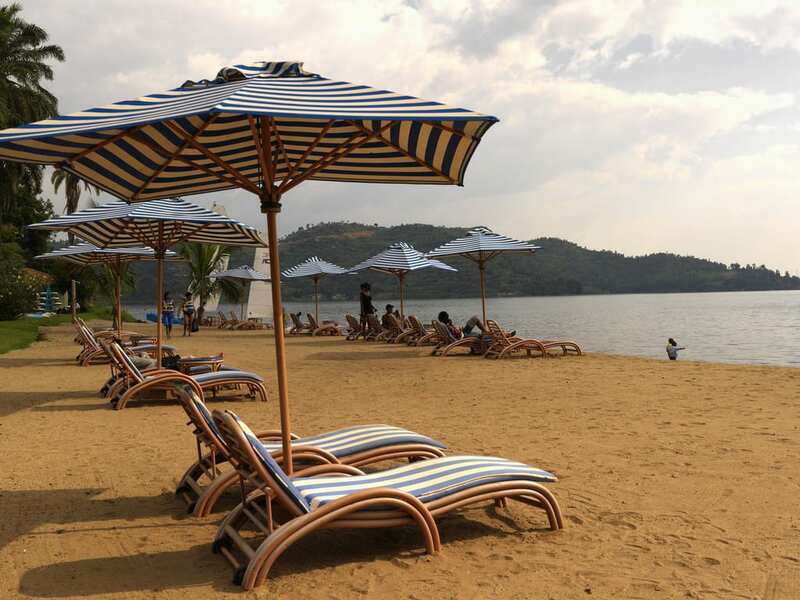 Lake Kivu is the place to go for those interested in relaxing at the shores of a water body. Lake Kivu is the 6th largest lake in Africa and Rwanda shares this lake with DR,Congo. Being one of Africa’s Great Lakes, Lake Kivu pours its water into rive Ruzizi which also empties into Lake Tanganyika. Rubavu is only 1 hour away from volcanoes national park, making it a perfect place for relaxing after the strenuous gorilla tracking safaris. Rubavu/ Gisenyi, is where the Congo nile trail starts from to exited 227 kms to Rusizi. For cyclists this is a great opportunity to cycle along the Famous Congo Nile Trail. Lake Kivu also is also the best connection between volcanoes national park and Nyungwe Forest national park. What to do whilst visiting Lake Kivu. Rubavu/ Gisenyi is the best place to explore the different agricultural activities that Rwanda has to offer. 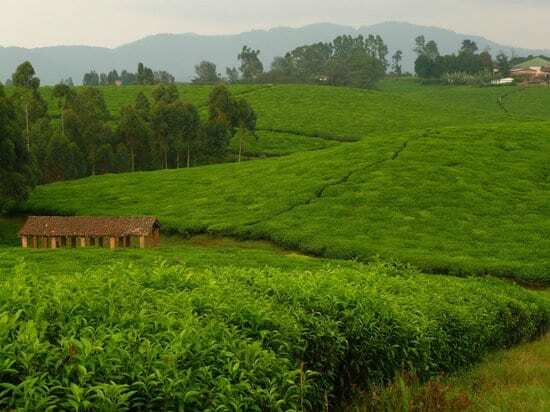 Rubavu is home to number to tea plantations and coffee plantations that agro-tourist can visit to learn more about growing and also processing of both these beverages. You can also consider visiting fishing villages and learn more about preserving fish and also the different fishing mentions. The lack of hippos, crocodiles and dangerous animals in Lake Kivu has made the lake perfect for water sports. Kayaking is one of the most famous activities that is organised by king fisher journeys. Kayaking in mostly done in Karogi ( Kibuye). Sports fishing is also possible along the coastline of Lake Kivu. A visit to Gisenyi is incomplete without a visit to the hot water springs. 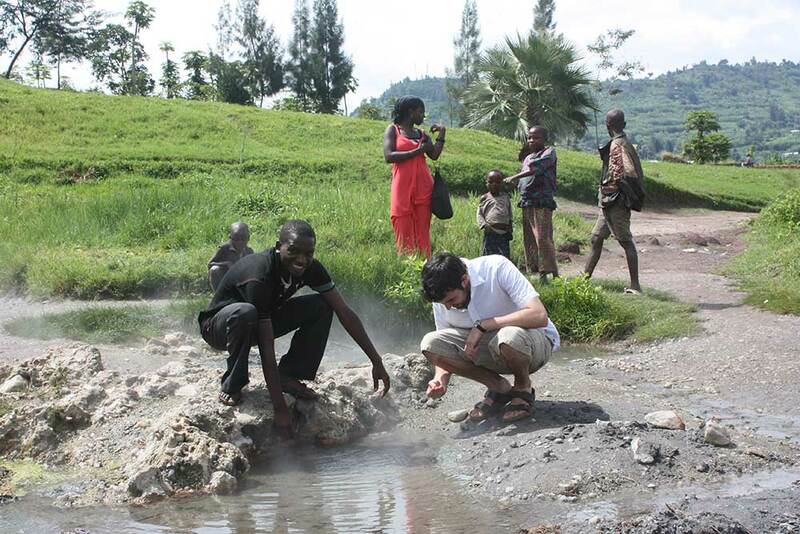 The Rubavu/ Gisenyi hot water springs is located south of Rubavu Town along the eastern shores of Lake Kivu. Hot water springs provide health benefits and thus attracts both local residents and also international tourists.